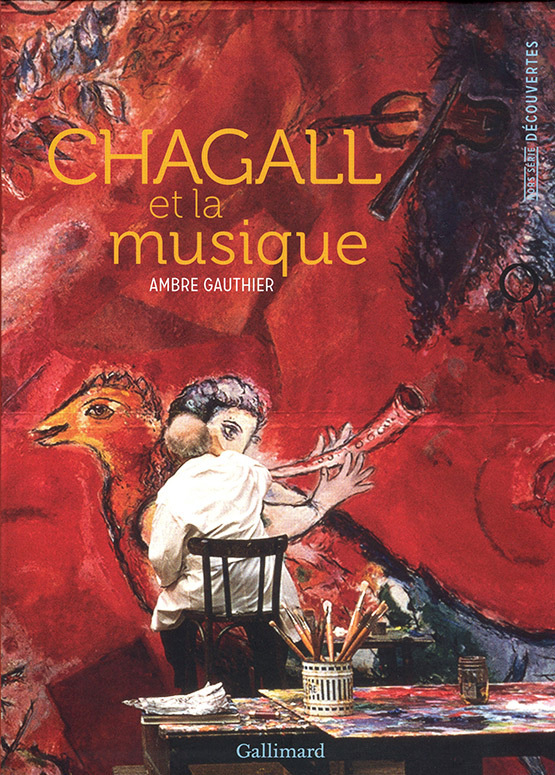 This book explores the deep connection between Chagall and music. The omnipresence of music, which ran deep in both his family history and the Jewish culture of his native city, was particularly meaningful in his creation of scenery and costumes for the stage. His works for the Jewish Theatre (Moscow, 1919-1920) and the ballets Aleko (Mexico, 1942), The Firebird (New York, 1945), Daphnis et Chloé (1958) et The Magic Flute (New York, 1967) celebrate the links he established between music, large-scale set design (décors) and material technique (costumes). Chagall’s monumental projects in the 1960s, such as the ceiling of the Paris Opera (1964) and his decorative and architectural programme for the Metropolitan Opera at Lincoln Center in New York (1966), are a reflection of his notion of “total art”, and his explorations in the universality of music and its representation in the architectural dimension. Music was a constant source of inspiration to Chagall, the subject of his creations, providing internal rhythm and strength of composition, and the measure for the intensity and ranges of colour he used. Unexpected and offering a resolutely fresh approach to iconography, music in Chagall’s work is the mark of incessant and brilliant modernity. Book prepared under the direction of Bruno Gaudichon (head curator of La Piscine Museum, Roubaix), Ambre Gauthier (art historian) and Éric de Visscher (director of the Museum of Music, Paris). Prima la musica, a circle of corporate sponsors of the Philharmonie de Paris. Marc Chagall’s paintings are rarely silent. 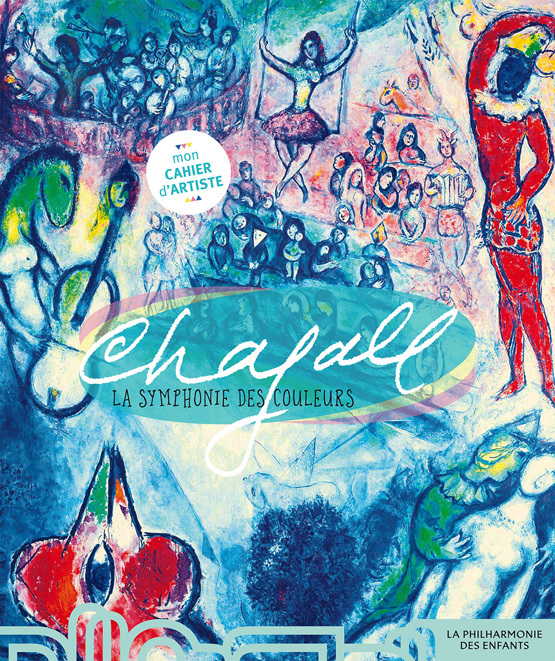 When we look at them, we hear the sounds of violins, dance rhythms and joyful song… This artist activity book retraces the entire history of Chagall the painter and the musician, inviting children (ages 6 and up) to discover step by step a multi-form work in which the colours come together to create a symphony! 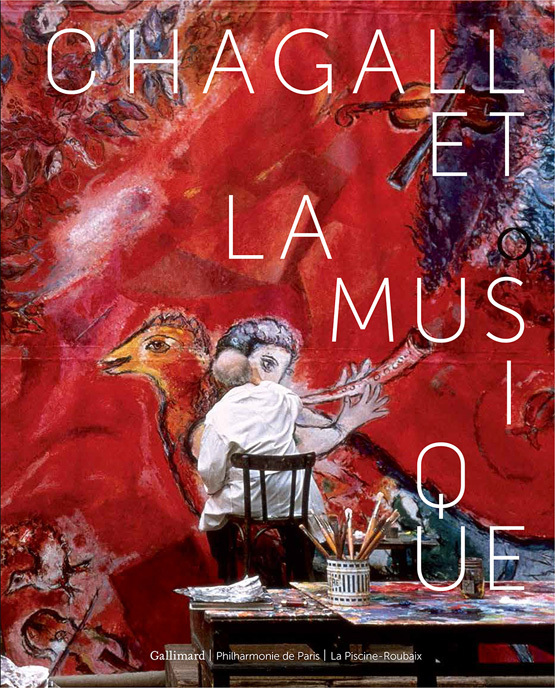 Published in connection with two exhibitions – one at the Philharmonie de Paris and the other at La Piscine Museum in Roubaix – this book explores the omnipresence of music in Chagall’s artwork. Music was a central theme in the many facets of the naturalised French artist’s work: his paintings, ceramics and sculptures, his creations for the stage, and his major decorative and architectural projects such as the ceiling of the Paris Opera.